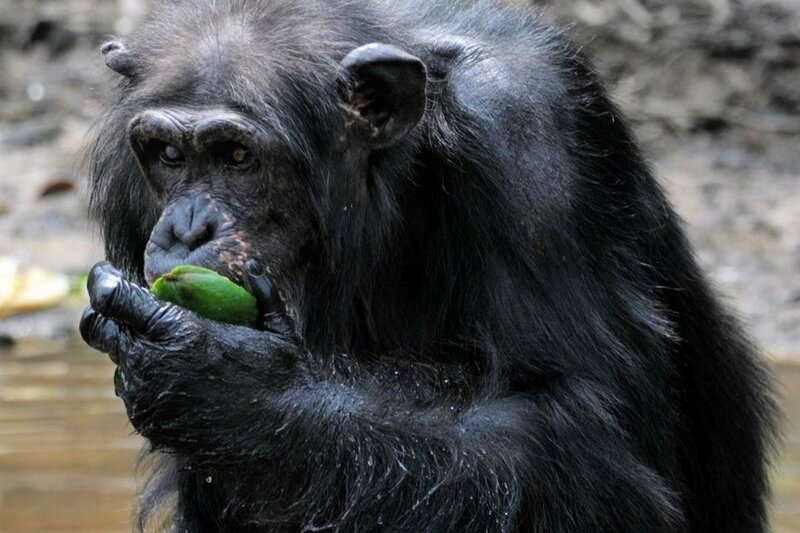 Help provide support for chimpanzees used in experiments in Liberia! 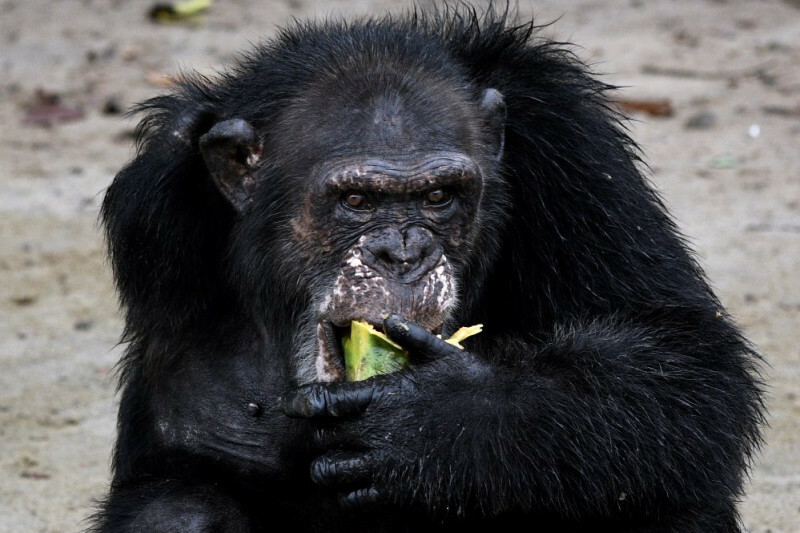 In early in 2015, The Humane Society of the United States and Humane Society International—with the support of the Liberian government, dozens of organizations and individual donors from around the world—began providing emergency care to more than 60 chimpanzees in Liberia, Africa who were previously used in invasive research by a U.S. based research organization. Thanks to the incredible support we’ve received, we have been able to not only create a more stable situation for the chimpanzees but make several major improvements in their care, including the daily delivery of a nutritious and diverse diet, constant access to fresh water, additional birth control and the development of a highly-qualified, paid care team responsible for the daily operations of our work in Liberia. We’ve also been able to acquire much needed equipment, including a boat and motor to deliver food to the chimpanzees. Fortunately, the situation has moved out of the emergency phase and The Humane Society of the United States and Humane Society International have taken on responsibility for the lifetime care of the chimpanzees. The research organization that used the chimpanzees in research has provided approximately half of the estimated funding needed for the chimps’ lifetime care. But, we need your help to make up the difference! These chimpanzees have been through so much—from the painful research they endured to civil wars in Liberia that resulted in the death of many of the 400+ chimpanzees used over the decades. Please donate now to help us continue providing these chimpanzees with daily care as we work to develop the high quality sanctuary they deserve! In the 1970’s, a U.S.-based research organization partnered with the Liberian Institute for Biomedical Research to create a laboratory for chimpanzee research and testing. After the chimpanzees were used for decades in invasive experimentation, they were retired to small islands near the laboratory in 2006. After the research organization stopped providing financial support for the chimpanzees’ care in 2015, The Humane Society of the United States and Humane Society International stepped in to provide emergency funding and took on the daily care of the animals. Approximately two years later, the research organization and The HSUS agreed to essentially split the costs of providing lifetime care for the chimpanzees. The HSUS was provided with a lump sum payment and, along with HSI agreed to take on the lifetime care of the chimpanzees. The HSUS and HSI will be working closely with the government of Liberia to provide these chimpanzees with the highest quality care and the lifetime sanctuary they deserve and we urgently need your help to fulfill our commitment. Please donate now to help! 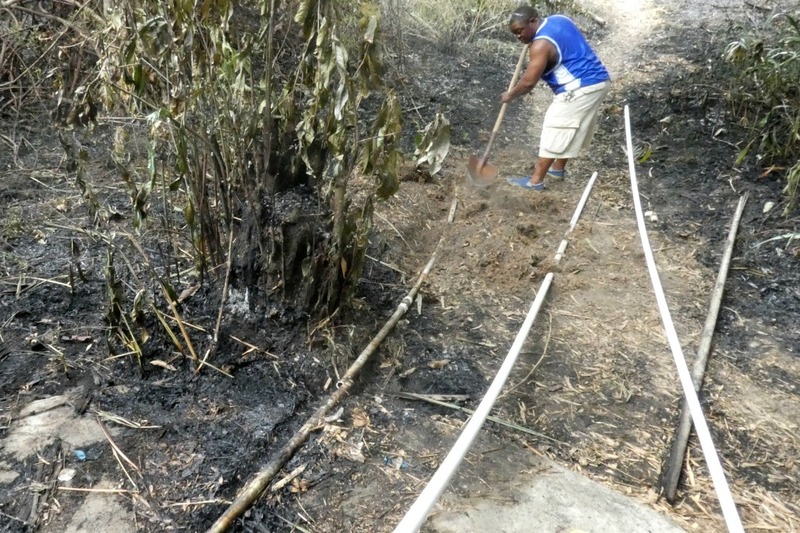 I wanted to share with you all that we recently had a bit of a scare when a sudden bush fire came dangerously close to our offices at the sanctuary. 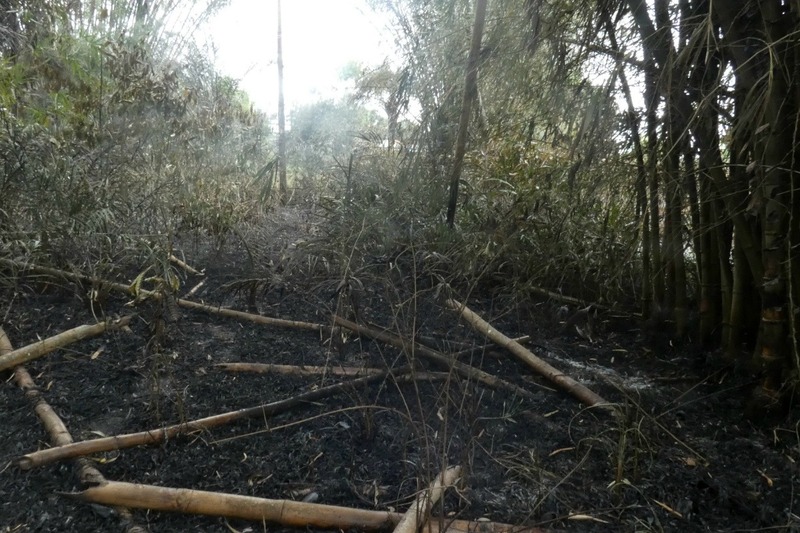 Thankfully, no one was hurt and the fire was far from any of the chimpanzee islands. While there was some significant damage to our water pipes, none of our office buildings or structures were damaged. 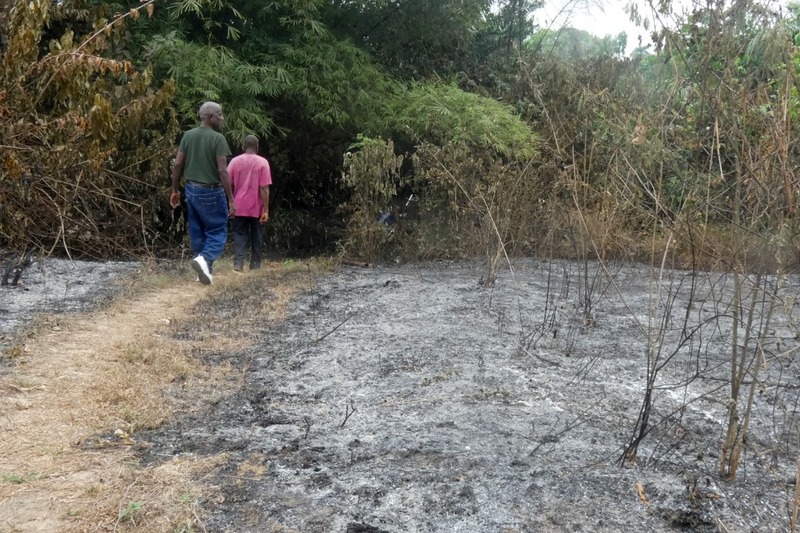 I am so proud of our staff’s quick response and we are all incredibly grateful to the Roberts International Airport Fire Brigade, who came to our rescue! Your ongoing support helps ensure we are always prepared for any emergency – we couldn’t do this important work without you! 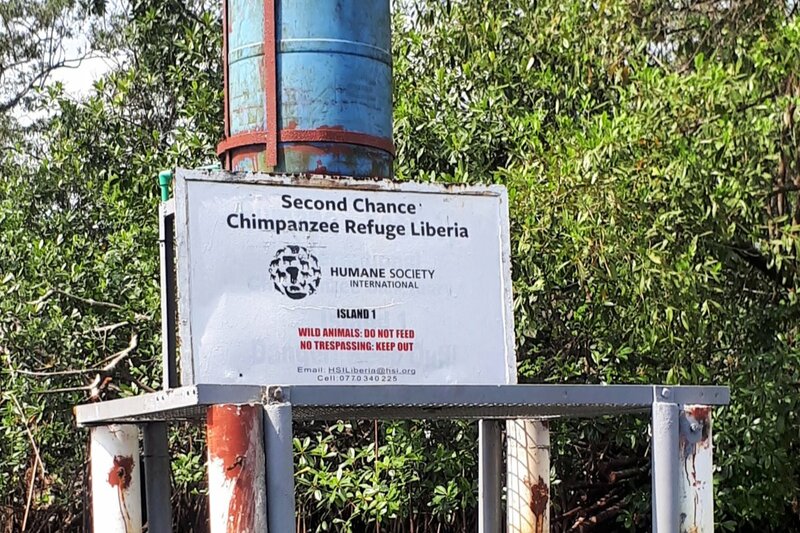 I have an exciting update to share that demonstrates how your generous donations are driving real progress at Second Chance Chimpanzee Refuge Liberia. Thanks to your kindness, we've constructed a new water tower that holds fresh water for the chimps and can withstand the heavy currents, saltwater, and winds that come in from the ocean. Building the tower took close to three weeks to complete and we couldn't have done it without YOU. Our entire team is incredibly thankful for your support and compassion for these amazing animals! Thank you! I am excited to announce the launch of our brand-new website- www.liberiachimps.org ! I am grateful for your past support, and hope you enjoy this new opportunity to learn more about Second Chance Chimpanzee Refuge Liberia and the chimps we care for! On the website you will be able adopt a chimp, donate, learn more about the chimps' story, and read about our team members! Holiday tip: Still looking for that perfect gift? Consider adopting a chimp in a loved one's honor! What I find appalling is how many people are commenting on this to complain about how their GoFundMe pages didn't succeed and are complaining how much the "monkeys" are getting? First of all, they're apes, which indeed are different than monkeys. Second of all, there are not six chimps but rather SIXTY-SIX, let me repeat 66!! Not that some of your causes aren't of importance (except you car guy sorry but that is not a good cause. My car is about to die too; I'm not gonna ask other people to pay for it though) but that does not mean these chimps are less important. Perhaps our priorities are different. But you know what, they're a lot more innocent and probably even caring then half the humans in the world. So don't take your frustrations out on innocent and abused animals because you didn't make more money. It amazes me that some comments are so negative, and well, very ironic, saying "what about human lives?" These chimps were kept in cages, given diseases, experimented on....scared, unable to communicate, helpless, & sick because NYBC made them that way...this was all for medical research for HUMAN LIFE! And there are bazillions of charities for humans! That is just ignorant to say humans get nothing! We think we are entitled to everything and this world suffers because of it every single day! NYBC needs to be financially accountable. I believe public pressure should continue until they step up. Classic case of corporate irresponsibility - completely disgusting. To all the people posting their whiny notes about why they personally didn't get $150K when they created their own go-fund-me project - Grow Up. Are you abandoned on an island with no food or water? No. You have two hands, two feet and you can pull down a paycheck. Stop whining. Plant fruit trees? Yeah, that's nice maybe the animals can go without food for the two years it takes for fruit trees to start producing. If anyone bothered to read the story, the chimps are not being sent to a sanctuary because there is none available, and since they have been in captivity and presumably carry Hep-B virus(?) they cant be released into the wild. Please write NYBC and demand they step up. This is an American company and their inaction reflects very, very poorly on us. Wow, I cannot believe that people are actually complaining about donating (Shame on you all, this is how I choose to spend my hard earned $) to help these Chimps, hey, this is MY MONEY AND I WILL DO WITH IT AS I PLEASE. Yes, I donated to this cause because I feel it is the right thing to do. 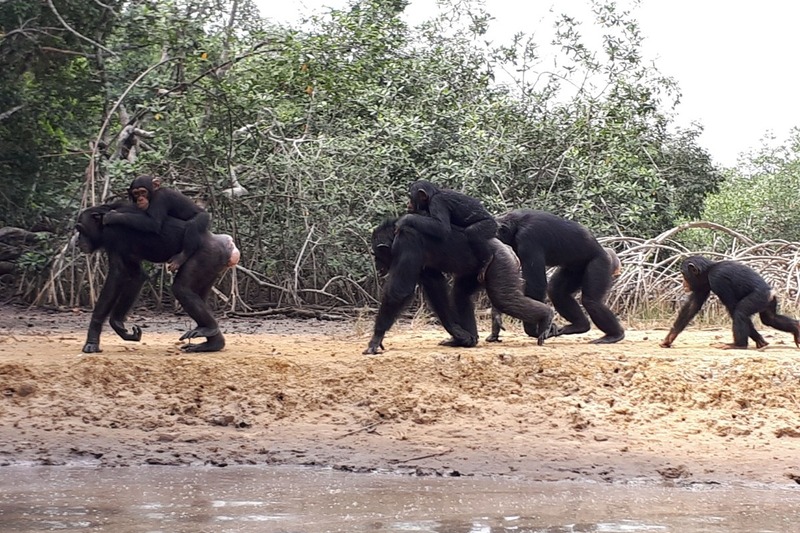 I would rather donate to a worthy cause as this because these Chimps were abandoned by a US Corp. on an island that does not sustain life for them. In this day and age I feel for the young children growing up not knowing whether or not their kids or grandkids will be able to see Polar Bears in the wild, or if there will be Rhinos or Tigers or any of the other wildlife species that man has the capability to drive to extinction. I heard about these Chimps plight on the internet recently and I am proud that I can help. And what is so sad is the people griping about this money going to these Chimps were put where they are by HUMANS so let's make it right for these animals who gave so others can live by giving them life. Charles--thanks for the question! We are considering work with local farmers to plant food for the chimpanzees as part of the long-term solution. A number of chimpanzee sanctuaries in Africa work with the local farmers...a great partnership! Hi! I just wanted to start by saying I am overwhelmed with the support this campaign has received. Your donations will not only directly help the chimpanzees but will also provide jobs on the ground for Liberians. Your support is also sending a message to others who might think it’s OK to abandon their responsibilities to animals they have used for their own benefit. I know there are so many deserving efforts out there to help people and animals and of course everyone should support those efforts that are important to them, but I really appreciate those who have chosen this campaign! This is so sad. I visited these guys in the Farmington River about May '83 to feed them some fruit. The Alfa male at the time threw rocks at us. I coaxed one of the females with a baby down to one end of the beach and handed her a full bunch of bananas. She then wanted to kiss me...which I let here do. I felt both happy and terribly sad at the same time. Donating for sure. Why aren't the New |York Blood Centre being made to pay. They have used and abused these animals then just left them. Surely there must be a law a preventing this sort of behaviour. I cannot believe the heartless and stupid comments by some of you. Those are chimps not monkeys to begin with, there's a difference. 66 chimps were abused tormented and exploited by NYBC this was done to help humans, you ingrate and selfish ones who cannot understand why we care so much for apes! Those chimps are at the mercy of humans who abandoned them. By the way, I need a new car so should I also start a Gofundme campaign? What is wrong with humanity? We humans can rationalize and go out and do things for ourselves get jobs, find and make a better life for us and our families, those chimps I repeat again depend on humans. I am sorry for the person who has had tragedy in her life, but sometimes by being kind and generous not with material things to others good things do come our way. People you need more generosity in your heart. New York Blood Center Executive Officials should to be imprisoned for Crimes Against Humanity. No Humans should ever be allowed to abandon Chimpanzee Medical Test Subjects that saved thousands of human lives. No Food and Water? This is such a heinous crime it makes all of Humanity look extremely wicked and callous. The filthy rich sociopaths that abandoned these 66 unwilling subjects are among the worst the human race has produced in decades. 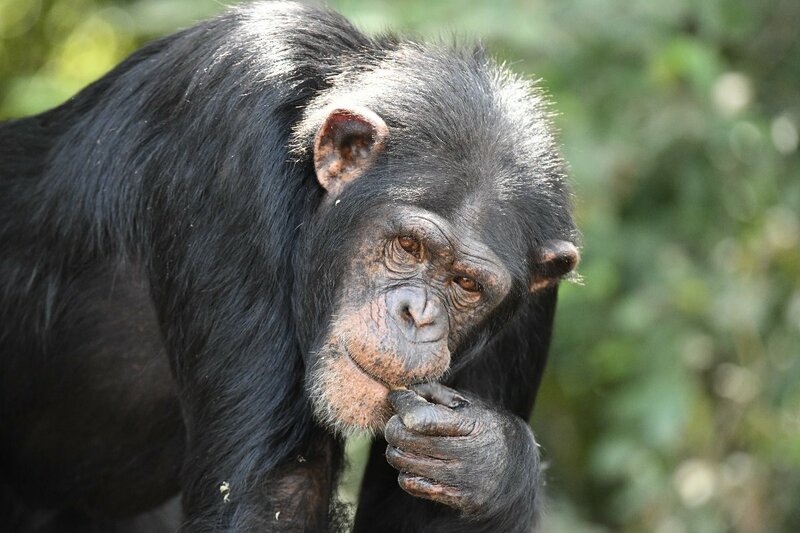 This GoFundMe site is awesome and sad at the same time considering how many thousands of Humans these Chimpanzees have helped, and how many hundreds of Millions made by NYBC, there should be worldwide condemnation of the Executives in charge at New York Blood Center, they are beyond disgusting in every sense of the word. Chimpanzees were used to benefit Human Research from 1974-2005 and now treated like waste products. These sickening few executives have to be held accountable as criminal abusers. Chimpanzees left on a deserted island is evil. Humanity does not support humans such as the ones at New York Blood Center. They have enough money to properly care for the Chimpanzees, what are they buying? jewelry? fancy cars? big homes? vacations? Hold these criminals accountable now. The poor rotten people complaining about these donations deserve all the misery seeds they sow in jealousy. People who complain about the Chimps getting money are selfish creeps that should be ignored,as they are worthless humans. They saw nothing wrong in their being abused in the lab , but how horrible to save them. People please keep giving to these wonderful Chimps they have done so much for people, now let's return this by helping them to survive and hopefully make it to a really good sanctuary for the rest of their lives. Why are funds only being used to feed them rather than relocate them to a more sustainable home? If the NYBC is unwilling to accept the petitions there may be politicians who are more amenable. Maybe it is time to let our public servants help us support this cause? As a "multi-gallon" donor, I am just not feeling it the next time they reach out to me (which they do every 6-8 weeks). The people who complain that these precious Chimps are getting so much and they so little should remember these Chimps help find cures for human health diseases. which I am against, no animal should suffer for people-people are the most arrogant animals on Earth. I hope these wonderful Chimps get all the help the need. I donated through Northwest chimps for them, as I only use paypal. Why not plant hundreds of fruit trees with hundreds of thousands of dollars? And if your belief is that humans should get more help, then I suggest that you act according to your values and help humans. If you follow your passion and help people as much as I follow mine and help animals, then it's a win for everyone - both humans and non-humans. Which may be the only way life on earth is going to survive. THANK YOU KATIE GRIFFIN! YOU ARE AN ANGEL! PLEASE KEEP US INFORMED AND ALSO THANK THE PEOPLE THAT ARE WORKING TO TAKE CARE OF THE ANIMALS. THEY NEED TO KEEP THEIR JOB TOO! THEY NEED TO TAKE CARE OF THEIR FAMILIES. PLEASE LET THEM KNOW HOW MUCH WE APPRECIATE THEM. OMG!!! Please Keith, Richard, Tom & Ed. CRY ME A RIVER!!!! Grow SOME BALLS and go out and try to find another job, contact social services, etc. Your GUYS need to be smart enough to seek HELP!!! There are sooo many places for a FREE HAND OUT that you GUYS seem to want and think you DESERVE for getting Help!! So happy there is someone looking out for these souls after being used and tossed aside...that was so wrong :( Thanks for caring and helping them! I love animals & it makes me sad that they were treated like trash. They were used & thrown away. The company should be responsible for taking care of them, can't they be sued to put aside money for them to be taken care of. I am happy to donate.